If you need an air freight quote, you typically need it quickly. Unfortunately, the quote process at many large companies can involve as many as 15 steps and take 3-4 days to complete. Lost Productivity. At least 1-2 hours per quote are spent populating spreadsheets and sending and receiving emails. Poor management controls. There is no central data repository. Documents are fragmented and historical analysis is difficult. Bad decisions. The “math” in many homegrown templates can be flawed. 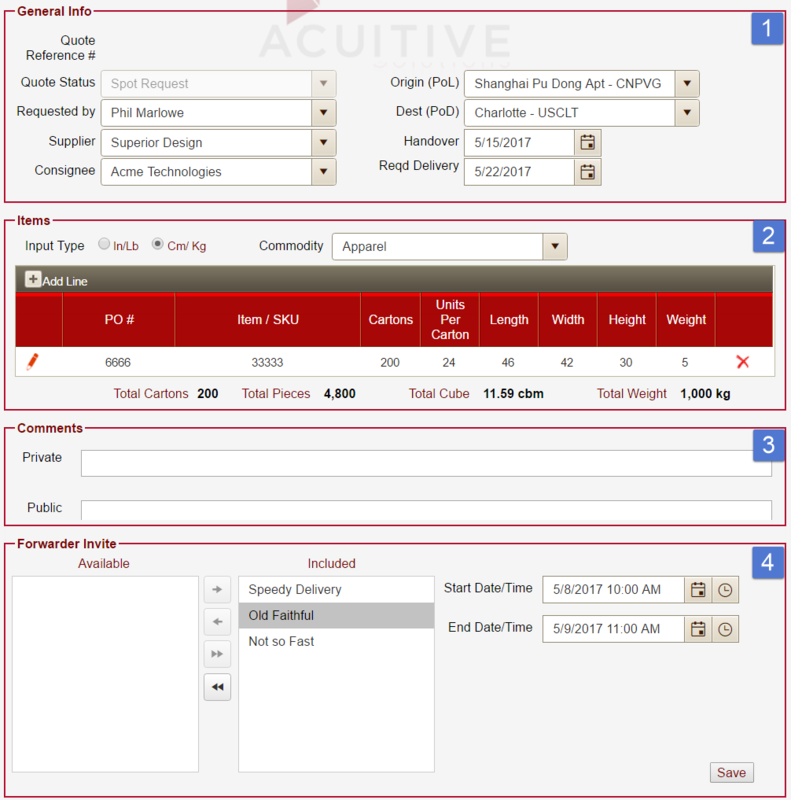 Acuitive’s spot quote process for air freight takes booking time from days to hours as shippers, forwarders and carriers collaborate in real time on Acuitive’s cloud-based portal. How do things change with the Acuitive Platform? 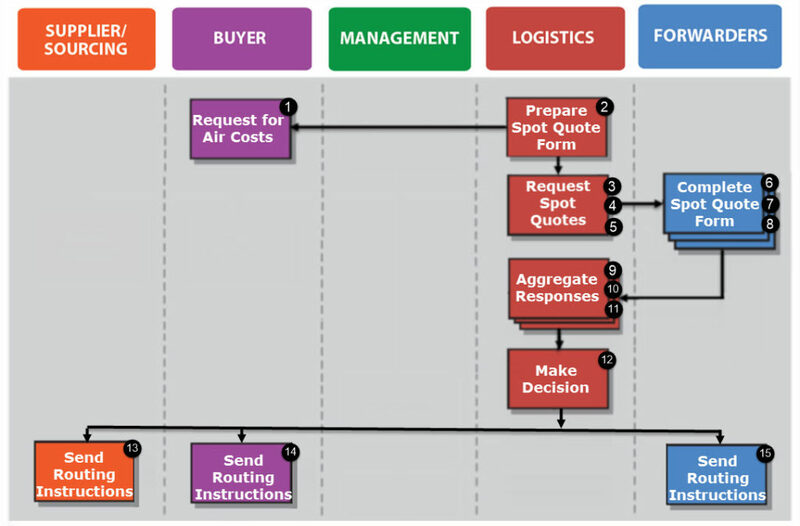 Makes the air freight quote process fast and simple – our easy 3-step process for comparing air freight rates offers visibility to cost-per-piece, carton or individual shipment. Simplifies rate comparison – Acuitive software automatically accounts for configurable and discountable DIM factors, cubed cost, weight breaks, minimum fees, currency conversions, Inco terms and multiple languages. If you’re frustrated with your current process for securing air freight quotes, we’d be happy to assess the improvement potential. Contact us to arrange a preliminary call. © Acuitive Solutions. All Rights Reserved.